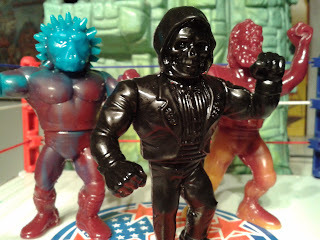 It's already been two months in 2013, and still no update on Toywalker's Blog? IMPOSSIBLE! I got to change that! Well, it might be too late to whish my readers a Happy New Year. But it's never too late to give you guys some insights into what I've been up to in the past weeks. 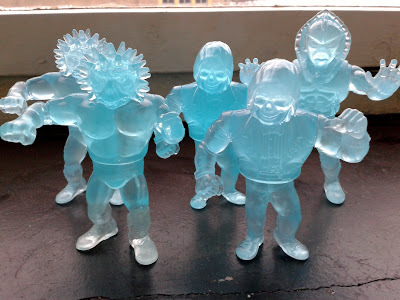 Following the success of our WotU customs last year, my mate Pablo and me from Goodleg Toys spent almost every day in the studio to put out our first resin bootleg release - the Wrestlers of the Universe Recast Edition. The first pulls dropped in January 2013. 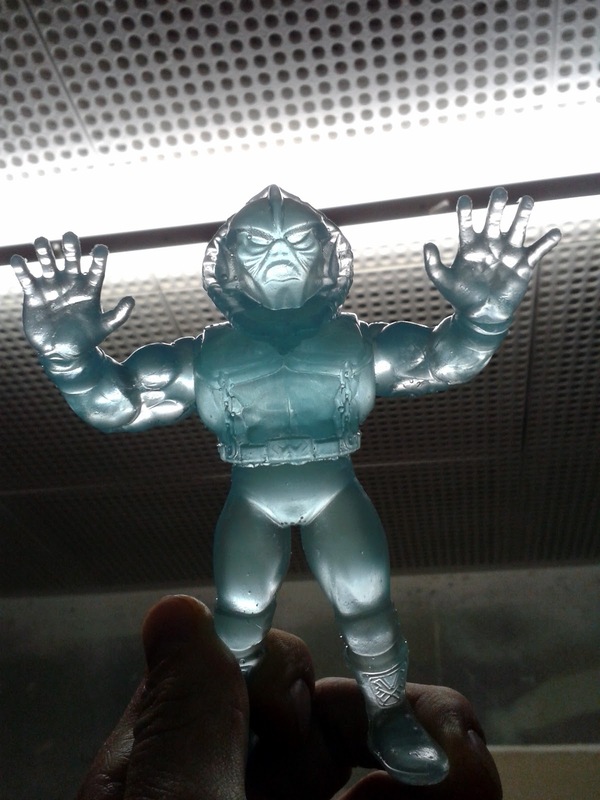 And since everybody seemed to be most excited about our translucent blue casts, we decided to do a larger run of them. 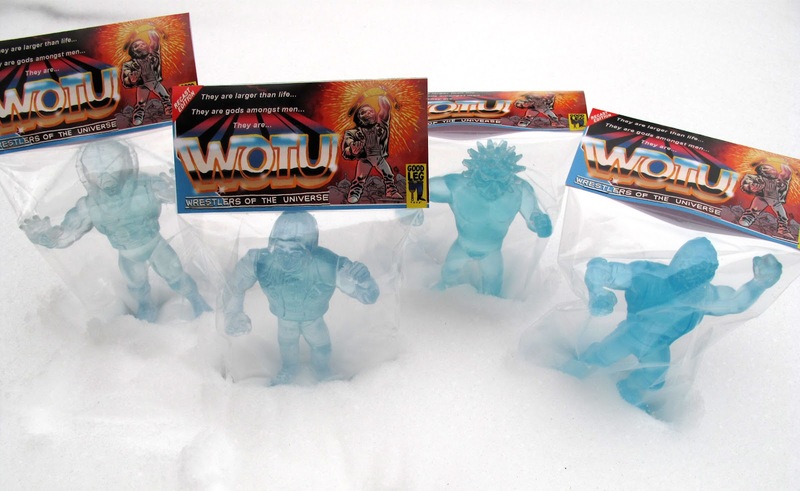 Preorder for the WotU Ice Series has ended about two weeks ago. We actually wanted to do a few more larger runs, but had to realize that the capacity is very limited when you cast every single figure by hand. Our stuff is NOT factory made! Alot of time and effort is put into every single piece. And when you still want some spare time to share with friends and family, to eat and sleep, you have to come to the conclusion that there's a limit to what you can get done as a DIY toy maker. I like it that whay, though. The whole DIY spirit of putting out your own stuff, developing it, producing it, bagging it, selling it - getting in touch with fans that're just as excited about your stuff as you are. Yup, making DIY toys is also about making new friends across the whole globe. And in the past couple of years, a whole community of MotU and MotU KO influenced DIY toy makers and collectors have emerged. 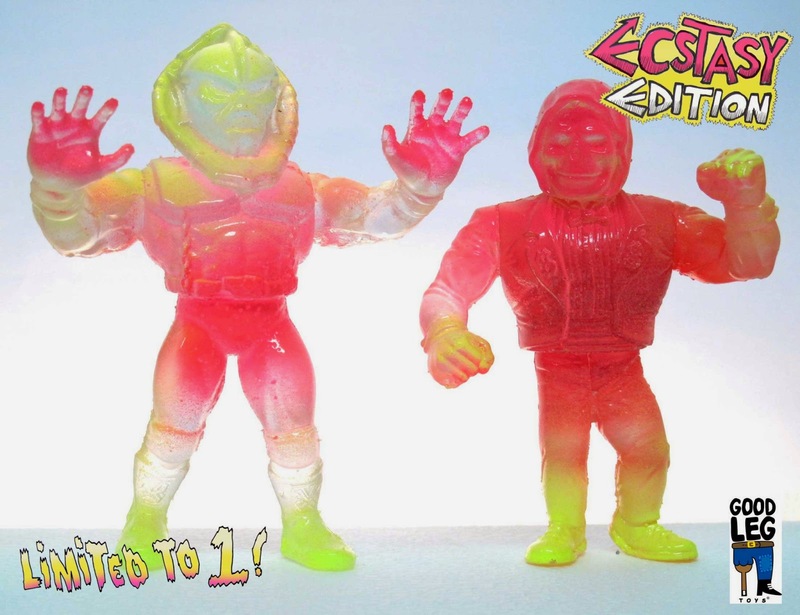 A community that gives a fart about some art snob's measurements if and when toy makers are allowed to call themselves "artists". The spirit I got from this scene right from the start is that everybody can be creative. And if he's not yet, he can start being it! 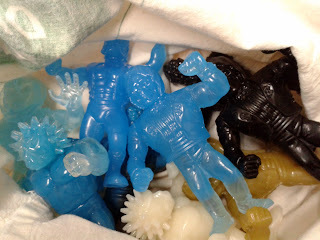 Collectors can be toy makers and vice versa. There's alot of creativity, fraternity, and fun in this scene. And it just feels great being a part of it, right here, right now. Of course, I'm aware of the fact that WotU is a bootleg toyline - a bootleg toyline with an "artistic touch" though, since you gotta have at least some skills to be able to handcast stuff. WotU was never meant to be a mass product. Not just because of legal issues, but due to "natural boundaries" the whole DIY thing gives you. Which is not a bad thing. But like I said, there's a limit of what you can get done when you do everything yourself. So, looking at the future of WotU, all that is gonna follow for now are a bunch of limited WotU releases. (Even though we mentioned more larger runs to follow before. But right now our capacity is needed for War on Prehis, which is hopefully getting released within the next couple of months). 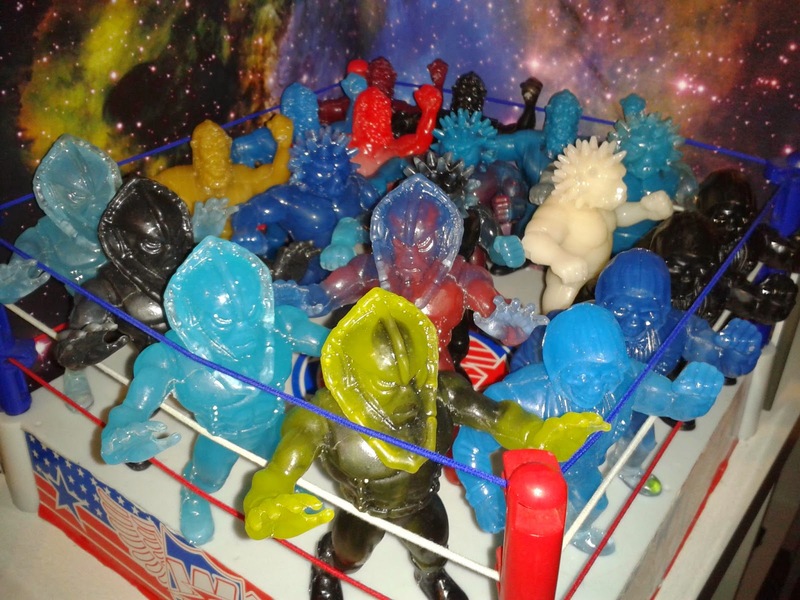 The WotU Ecstasy and UFO Edition went up for sale one week ago. 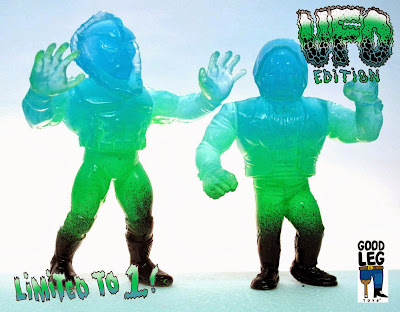 The WotU Blood Freeze Exclusives are available at Toy Sector. There's some WotU collab with Peter from Killer Bootlegs about to go down. We made some GID testshots, and there's a bunch of WotU Series 2 prototypes waiting to get bootlegged at some time... So there's still alot of cool stuff to come! Even though some of it can take its time. 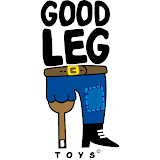 Finally, I want to give a huge shout out to our fans and friends who've been supporting WotU and Goodleg Toys throughout the last months. Especially Ralph Niese for drawing that insane WotU header artwork, Trutek from Man-E-Toys, Kev from that-figures blog, John & Hex over at Bootlegs of the Universe, Brian from iusedtolovethat, Martin from Collect Call, and last but def not least the famous Pixel-Dan for never getting tired of spreading the DIY word. Thanks guys, y'all rock!